Washing machines have become an important part of our homes. But, for people who haven’t installed them by themselves, they might seem scary to connect and disconnect. And when you need to relocate a washing machine on your own, you often end up searching the web on how to do it. And that’s mostly because they are not completely a standalone appliance. They need to have a water hose attached to them, and then another one for water draining. And disassembling all of that takes time and some know-how. Here is a guide that will help you relocate your washing machine in 5 simple steps. Washing machines are expensive. You probably can’t afford to buy a new one each time you move. Even if you can, it will greatly impact your calculations of moving costs NYC. And even then, you still have to pay for someone to install it. So, it’s best that you take the time and relocate a washing machine to your new home. It isn’t that hard to disconnect and take with you. And with the right kind of assistance, it can be done in no time. Since, as already mentioned, it isn’t a standalone appliance, it will take some time to disconnect it. It isn’t as simple as unplugging it. You also need to disconnect the water intake hose as well as the water drainage hose. And you will need some items to do it and not make a mess out of your room. The first thing that you will need is a bucket or a tray for all the water that will drain from the hose. Secondly, you will need transit or shipping bolts. They are used to immobilize the drum and protect it during transport. You will also need an appliance dolly, since washing machines are really heavy, and you don’t want to injure yourself while moving it. And lastly, you will need someone to help you. It’s always better to work in pair when handling large and heavy objects. And someone will need to be there to help you disconnect everything. Aside from the things you will need to disconnect it, you will also need packing supplies to relocate a washing machine. It’s best to have everything ready before you start disconnecting it. And, it’s best to have more than you need. There are many ways to dispose of surplus packing materials. The main goal is to protect the washing machine itself. So, make sure you have enough cardboard to cover it completely. And enough air-filled plastic wrap to give it an extra layer of protection. And, of course, some packing tape. 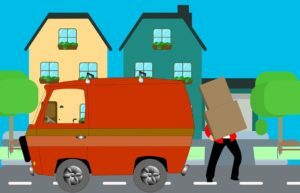 When it comes to moving large, heavy and expensive items, it’s always best to have some professional help. 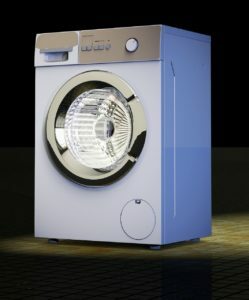 While you could hire an expert to disconnect and secure everything, you are still left with a task of relocating a washing machine. Companies like Park Slope movers offer professional services aimed to help you with just that. That way you will save a lot of time. And you will avoid doing any damage to your washing machine. In the end, it’s a much better deal then having to buy a new one. Or, in the worst case scenario, getting injured. Moving something as big and bulky as a washing machine takes time. And first, you need to prepare for the move. After you’ve gathered all the materials that you will need, you can proceed with disconnecting and moving it. Word of caution: washing machines are quite heavy, so this is the best time to again consider hiring professionals to help you. It’s important that you do a thorough preparation before attempting to relocate a washing machine. First, make sure it is unplugged. Make sure that there aren’t any clothes left in the machine. And then let it dry for a little while. You want to have as little moisture in it as possible. This is also a good time to clean the drum. 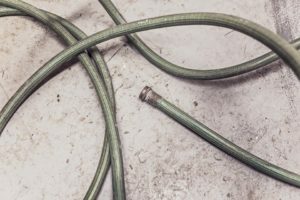 Before you start disconnecting water intake and drainage hoses, don’t forget to turn off the water supply. Otherwise, you will end up soaked, together with whichever room the washing machine is located in. Make sure to have a bucket or a tray close by. Slowly unscrew the water intake hose and let it drain into your tray. If you are not sure which one is the water intake hose, consult the user manual. There’s probably a lot of water remaining in it. So, you should leave it to drain for a couple of minutes to make sure that all the water is out. Then, disconnect the water draining hose. It too might contain water in it. So, again, have your tray ready. One of the main parts of the washing machine is the drum. And it needs to be able to spin and wobble to properly wash and dry your clothes. But, it’s a big weak point when relocating a washing machine. So, make sure you properly install the shipping bolts. Almost all washing machines have special holes in which the bolts slide in. Once you’ve disconnected everything and secured the drum, you are ready to relocate a washing machine. Lifting a washing machine requires at least two people since they are bulky and very heavy. Slowly lift it and place it onto an appliance dolly. The dolly is important in order to protect your floors and carpets. Push it to the truck and slowly lift it in. It’s important to keep the washing machine upright to protect it from damage. If you’ve managed to successfully disconnect and transport your washing machine, you can also assemble it. So, just relax, follow the user manual and you won’t have any problems. Just make sure to remove the shipping bolts and test it before you put in your clothes.